Russian authorities have detained at least 23 Crimean Tatars on suspicion of being members of a banned Islamic group this week. 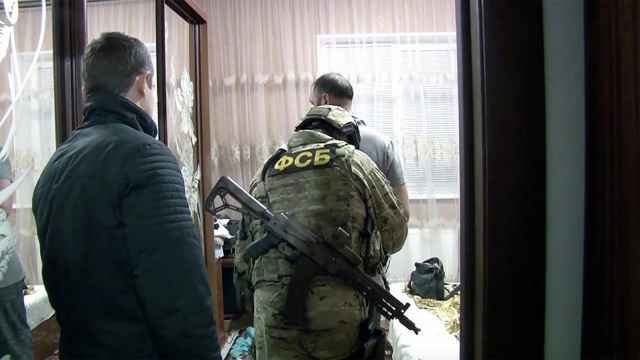 The Federal Security Service (FSB) raided the homes of 25 Crimean Tatars in Simferopol, detaining 20 on Wednesday and three more the next day. 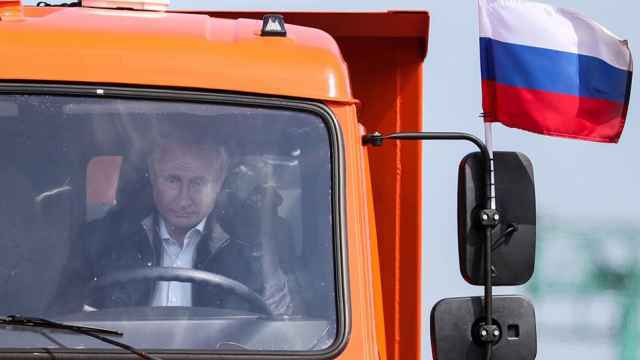 The predominantly Muslim ethnic minority has largely opposed Russia’s 2014 annexation of Crimea from Ukraine and has seen its local self-governing body banned as an extremist organization. 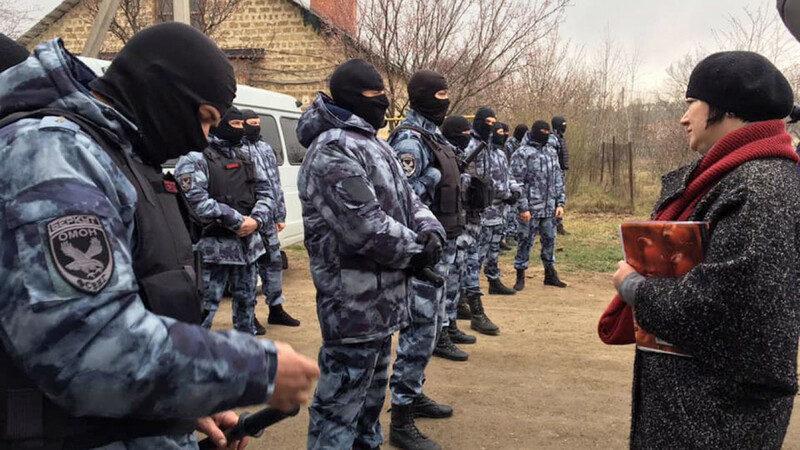 A court sent 23 Crimean Tatars, nine of whom are activists with the Crimean Solidarity movement, into pre-trial detention until May 15 on charges of membership or “organization of terrorist group activity,” the OVD-Info police-monitoring website reported. Members of the Mejlis, the banned Crimean Tatar assembly, linked the raids to the upcoming Ukrainian presidential elections, Agence France-Press reported. According to the agency, most Crimean Tatars have not renounced their Ukrainian citizenship and many of them are planning to vote in the elections, which start Sunday. Amnesty International criticized the arrests as a continuation of the “unabated” five-year persecution of the Crimean Tatar community. “The latest crackdown is one of the biggest acts of brazen intimidation of the whole community in recent months,” Amnesty Ukraine director Oksana Pokalchuk said Wednesday. Hizb ut-Tahrir is listed alongside al-Qaeda and the Islamic State in Russia’s unified registry of terrorist organizations. Russia’s human rights ombudsperson vowed this month to review the legality of a 2003 court order labeling the group a terrorist organization. 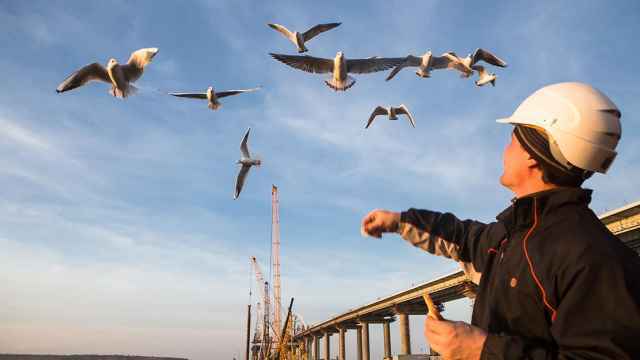 Russia opened the $3.6 billion bridge to Crimea this week. Here’s a look at the construction of the bridge from 2016 until today. 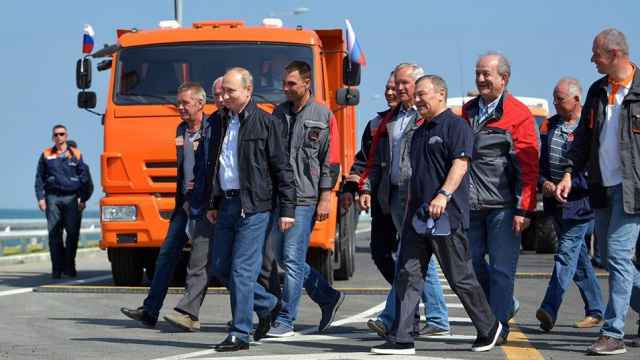 Putin said he was confident people would love the bridge to the Crimean peninsula.